If you’ve been writing for the web long, you’ve probably heard of the 4 U’s formula, which says that content should be Urgent, Unique, Useful, and Ultra-specific. Originally developed by business coach and serial entrepreneur Michael Masterson, this formula works wonders for headlines, titles, and email subject lines, but with a little tweaking, it can be a powerful blog writing formula, too. So what are the 4 U’s and how can you use them to write more powerful headlines and copy? Urgency in headlines convinces people to open the email, click through to the article, or purchase the ebook. Urgency in the content itself helps readers apply the usefulness factor so they can solve problems or reach goals faster. While urgency is very important for headlines, if you can’t apply all 4 U’s to your content, urgency is the one to leave out. That’s because uniqueness, usefulness, and ultra-specificity are more important in body of the content than urgency, and also because it can be tricky to maintain urgency throughout the content without sounding too pushy or salesy. Uniqueness is critical because if visitors have seen similar content or benefits elsewhere, they won’t bother with your content. The uniqueness of your copy includes everything from your writing style to the benefit visitors get from reading your content. If your content isn’t useful, why should visitors read it? Your copy can be unique, ultra-specific, and urgent without being useful. The uniqueness of your content helps draw readers in, but usefulness is what compels them to keep reading. You must offer a benefit, solve a problem, or otherwise provide value for your audience. It’s possible for content to be useful without being specific, but the more specific your copy is, the more useful it will be. It’s also possible for content be ultra-specific but not useful. This happens when your content doesn’t match your audience very well or if doesn’t solve a problem your audience has. Being ultra-specific doesn’t mean every blog post you write needs to be a list, how-to, or step-by-step guide, although those formats are popular for a reason. Specificity is important because it increases how useful the content is and makes it more compelling. Following this order – useful, urgent, unique, ultra-specific – attracts readers’ attention and pulls them in more powerfully than off-the-cuff headlines and titles. A good example is the title of a recent post on Copyblogger, “How to Sell Without Selling,” which has been shared on various social networks over 1000 times. How well does it follow the 4 U’s formula? Urgent: 2 out of 4.This title doesn’t stack up well in terms of urgency – it doesn’t include any kind of timeframe (such as “now,” “today,” or “10 days”) to encourage readers to click through. However, readers click through and share in droves because the benefit they get is something they want as soon as possible. Strong audience research pays off. Unique: 2 out of 4. 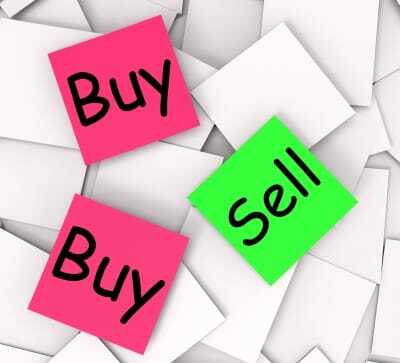 Learning to write sales copy without sounding too salesy or pushy is a common, popular subject for internet marketers, bloggers, web writers, and lots of other people, so the benefit of the article isn’t unique. But the structure of the headline is unique with its short and alliterative phrasing. Useful: 4 out of 4. Readers know they’re going to learn something (“how to”), and they know exactly what they’re going to learn (“sell without selling”). Even better, it promises something the Copyblogger audience wants to learn – how to write emails and other copy in a way that boosts sales without sounding salesy. This title offers big benefits. Ultra-Specific: 3 out of 4. Although this example title could probably be more specific –”How to Use Trust to Sell Without Selling” for example – it does offer both explicit and implicit benefits and tells readers exactly what they get by reading. It’s hard to rate 3 or 4 out of 4 total on all 4 U’s. But if your headlines and titles don’t get at least one rating of 3 or 4, there’s definitely room for improvement. 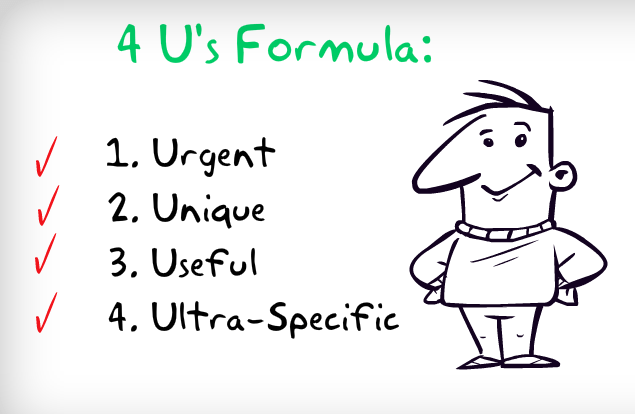 The 4 U’s formula can also help you write more powerful blog posts, emails, and other copy. The same reasons that make 4 U’s headlines so powerful also compel visitors to keep reading the entire article or email. That’s why this common copywriting tip is a favorite formula of Copyblogger. If you found an article that offered unique information or benefits, was very useful, specifically solved a problem, and did it all in a timely fashion, wouldn’t you read the whole thing? Applying the 4 U’s to content and copy is a little different than using them in headlines. Uniqueness and usefulness are tied for first place in importance, because you need both to entice visitors to stick around. Being ultra-specific comes next because it supports the first two but you can get away without it sometimes. And urgency comes last for content because it’s hard to maintain a sense of urgency throughout copy without sounding like a sales letter. Getting high marks in all 4 categories isn’t always possible, but your goal is to incorporate all 4 U’s into your blog posts, emails, newsletters, ebooks, and other content as much as possible. How do your headlines and copy stack up against the 4 U’s? Do you prefer another approach? Please share your tips and experiences in the comments below! Your 4 U’s is of great help for beginner like me. Great that you’ve found the article helpful. My blog is in Spanish but all this technique is helping me to create a better blog every day. Glad to hear you use our tips for your blog. I’m sure your blog will become better after trying them. I find this article fulfilling what it teaches. This is a great piece of great mind. God bless.